Police wish to speak to an East Grinstead teenager who has links to Crawley in connection with a motoring incident earlier this month. 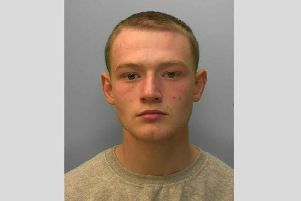 Officers said Ryan Edson, 18, is known to frequent Crawley and Crawley Down. The incident took place during the early hours of Wednesday July 8. A Sussex Police spokesperson said: “Anyone seeing Mr Edson or knowing of his whereabouts is asked to email 101@sussex.pnn.police.uk or phone 101, quoting serial 12 of 8/7.